Since 1959, when Don Gabbert opened a design studio inside his furniture store, the Gabberts name has been synonymous with the highest quality furniture and timeless interior design. In 1990, Gabberts was named “Best Home Furnishings Retailer in America” by House Beautiful magazine. Today, Gabberts offers the finest furnishings, lighting, carpeting, rugs, and accessories. The Gabberts team of interior designers and experts are always available to help you select the right pieces and create a beautiful living environment that reflects your own individual style. Amish Showroom sells handmade solid wood furniture & cabinets to the public. 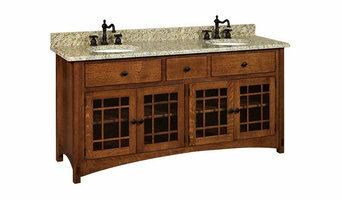 The furniture & cabinets are built in the USA by Amish craftsmen who happen to be the finest in the trade. Based & located in Coates, MN - we have been working with clients all over the United States for the last 10 years. We ship to all of the lower 48 states. Designer Marketplace has been providing the Twin Cities Metro with high-end quality furniture and consignments for over a decade. We showcase pieces from select design showrooms from all over the country so our inventory is comprised of one-of-a-kind pieces, close-outs, discontinued items, and various showroom floor samples. In addition, we carry brand name furniture that can be catalog-ordered and customized to fit your personal needs. We specialize in the highest quality furniture for the lowest prices. Our merchandise is generally 50%-70% below retail. Our 16,000 sq ft. Minneapolis location provides an ever changing inventory and great selections to choose from. We carry furniture, rugs, lighting, and accessories in every style ranging from traditional to contemporary. Designer Marketplace is sure to meet your home furnishing needs. Minnesota Farmhouse is a small, family run furniture business based out of Cambridge, MN. We make farmhouse style furniture, specializing in dining tables and benches, out of knotty, thick, white pine or red oak wood. We hope to put a beautiful piece of furniture in your home that you'll be able to enjoy for years to come. A trained artist devoted to making beautiful furniture, cabinetry and designing wonderful spaces, Gérard Pierre is the founder and owner of CBF by Pierre. Born and raised in France, trained at Ecole des Beaux Arts, Gérard Pierre long ago translated his formal training as an artist into the creation of one-of-a-kind furniture. Pierre has the ability to combine form, color, and space into genuinely unique creations that span the gap between art and craft. Pierre's team of craftsmen is masterful at working with wood, metal, stone, glass, fabric, and more -- Pierre's pieces retain a quality of timeless elegance. He has a genius for conceptualizing space and a total design sense. For more than twenty-five years, CBF by Pierre has wedded the beautiful with the functional, collaborating with designers, builders and remodelers, architects and homeowners. A great listener and full partner, he works patiently and with endless creativity to bring your vision into reality, rather than imposing his own. Peters Billiards is the premier Twin Cities retailer of in-home games and recreation equipment. Founded in 1957, the three-story Minneapolis landmark is the largest single-store game room supplier in the Midwest. Originally known for our billiards selection, custom billiards work and antique tables, we now also feature the largest kitchen and bar stool selection in the Twin Cities. In addition, we carry many specialty items including in-home theater seating and sofas, bars, entertainment centers, artwork and patio furniture. 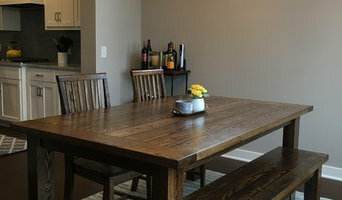 Based on Minneapolis, MN, Stockton Heritage specializes in custom hardwood tables and live edge furniture. Our work encompasses a broad range of influences spanning midcentury, rustic, industrial, modern, scandinavian and contemporary. We use the age old combination of wood and steel to make heirloom quality furniture that your grandchildren will fight over. Our featured domestic hardwoods include Black Walnut, Oak, Cherry, Maple and Ash. We also work with fun exotics like Monkeypod, Acacia, Suar & Guanacaste. Family owned and operated since 1956, Jensen Furniture has been Northwest Wisconsin and Eastern Minnesota’s premier destination for quality, selection, value, and service! Our family has actually been providing these attributes to this area since 1903 when Jacob J. Jensen started his blacksmithing business in Luck. Since then, the Jensen family business has evolved from farm equipment to hardware and from hardware to furniture with those same principles as the foundation of our business. Jensen Furniture has the area’s largest selection of Flexsteel, La-Z-Boy, Serta Mattresses and is Northwest Wisconsin’s only Hunter Douglas Gallery dealer. Compare our selection of these flagship brands to any of the larger stores in the Twin Cities, and you will find that we have more models of each of these top brands for you to choose from with a qualified, educated staff of designers to help you make your home furnishings decision. Our expert design staff can help you design the piece of your dreams or help you put together an entire room that will be the envy of your friends. We will look forward to meeting you and helping you with your home furnishing needs! Moss Envy redefines value by providing eco friendly products that support a healthy home, sustainable lifestyle, and social awareness of people and planet. Our diverse, department store like variety is combined with a welcoming and service oriented atmosphere where your purchases will exceed your personal needs and positively impact future generations. Thank you for choosing Moss Envy! Design Within Reach exists to make authentic modern design accessible. Authentic means that it’s the real thing. We don’t do “inspired by” or “just as good as” or “in the spirit of.” When we were founded in 1998, consumers simply weren’t able to buy the classics at retail. To find them, they had to visit Europe or work with intermediaries. We changed that by making innovative works from iconic designers accessible for the first time, and we’ve continued to provide the best in modern design ever since. Accessible means that it can be seen and touched (taken for a “test drive,” as we like to say) and that it’s in stock. At DWR, we’re passionate about design – past, present and future. *Authorized Dealer of Shaw Floors* Hennen Furniture is a family owned and operated home furnishings store with locations in St. Cloud, Willmar and Alexandria, Minnesota. Voted Central Minnesota’s "Best" Furniture Store, Hennen’s has earned a reputation for providing the largest selection of quality furniture since 1967. At Hennen Furniture, we carry a complete line-up of home furnishings, including living rooms, family rooms, dining rooms, bedrooms, home office, entertainment, mattresses, outdoor furniture, youth bedroom, family rooms and flooring. We also offer free local delivery, special financing options with approved credit, and free in-home consulting services. As an independent family-owned furniture store, we have an advantage in that we can choose from thousands of suppliers to find the best furniture for your home. We carefully research our furniture manufacturers at international trade shows several times a year to make sure that we are selecting the companies that offer the best value in the furniture industry. Marva's specializes in offering the highest quality brands in new and used furniture, home decor and design. High-End Used Furniture & Consignment, New Designer Brands and Home Decor that is affordable at significantly low prices. Marva’s Furniture Design & Consulting is a Consignment Resale Furniture Store and Consulting Service located in the Northwest Suburb of Minneapolis and St. Paul, MN offering high end, custom designer brands that is of the highest quality which is in barely used, like new and new. We are a Full Service company. We offer US Shipping and furniture pickup to our location. 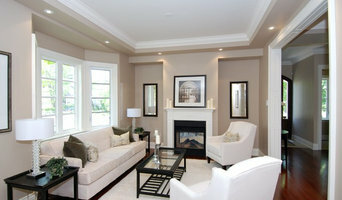 We also offer various consulting services for the home as well.